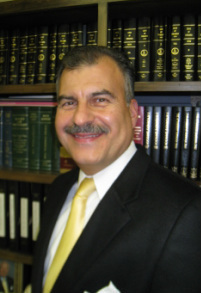 Real Estate - George J. Kokorelis, P.C. In a time of economic uncertainty and unprecedented challenges in the real estate market, it is more important than ever to secure knowledgeable and experienced representation before entering into any residential real estate transaction. In order to help home buyers, and real estate investors protect their interests in real estate commercial transactions, my office reviews contracts, purchase agreements, leasing agreements, and financial documents related to real estate deals. In working with developers, I can help coordinate environmental and traffic impact studies, address indemnification issues and handle matters related to titles and notices. For home buyers or sellers, I carefully review all documents in order to ensure our client is not exposed to unwanted liability. As a real estate attorney, I am not paid a commission on the sale of a home. As such, my primary concern is protecting the client for anything that could create unwanted legal or financial liability. I have the experience in Virginia real estate law to help homeowners, investors, and businesses secure their interests in real estate.